A bloom I’d be, if you, its dew. I’d clench you tighter, closer, to my breast. Born on 1 January, 1823, Sándor Petöfi is considered to be Hungary’s national poet. 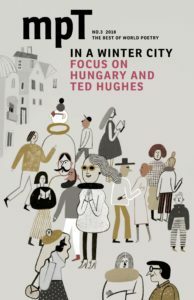 His reputation and popularity are due not only to the beauty of his lyric poems, but also to his involvement in Hungary’s revolutionary movement. As well as being directly involved in the fi ght for Hungary’s independence from the Austrian empire, Petöfi also became the spiritual father of the 1848 revolution as his poem ‘National Song’ was recited at public gatherings to rouse the Hungarian people to fight for their freedom.